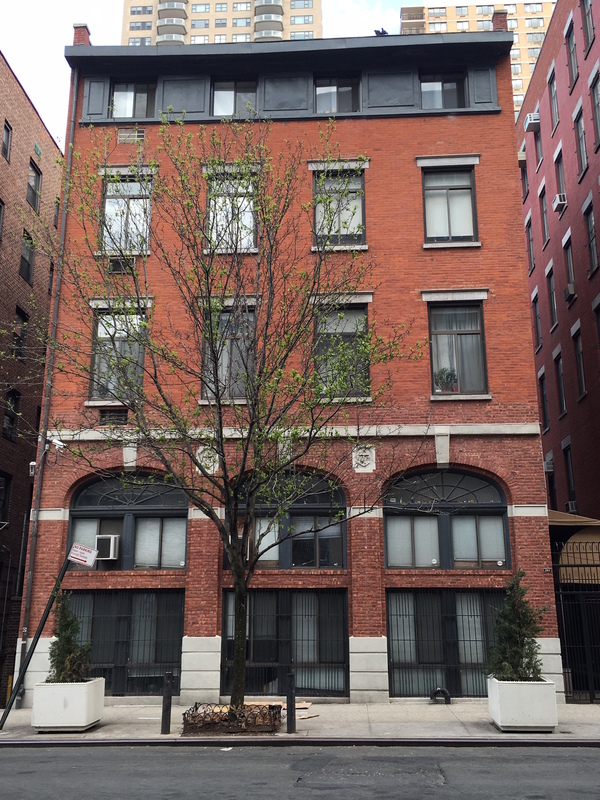 Deep in NYU territory in Greenwich Village, amid century-old lofts and postwar apartments, sits a handsome brick building at 262 Greene Street. 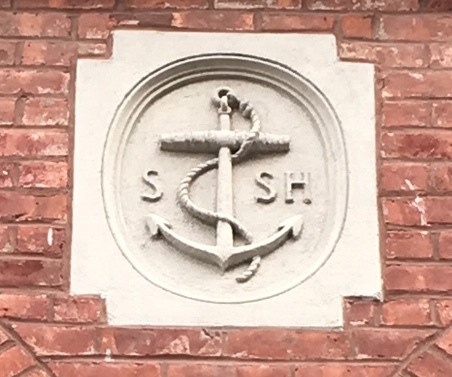 A closer look reveals something curious: small ship anchor emblems decorate the facade, each with the letters S/SH flanking them. These are the giveaways hinting at 262 Greene Street’s seafaring past. The building was once an administrative office for Sailors’ Snug Harbor, an institution founded in 1801 by a sea captain named Robert Richard Randall. “At the time of his death, Randall’s estate, located north and east of modern-day Washington Square, was rural,” states nycgovparks.org. The Greene Street building is no longer occupied by Sailors’ Snug Harbor employees; it’s unclear if the institution still owns the property. In any case, ship anchors are a rare sight so far uptown and inland. These serve as hiding-in-plain-sight reminders that the city earned its riches off the backs of the sailors who came in and out of New York Harbor. This entry was posted on April 18, 2016 at 8:00 am and is filed under Cool building names, Random signage, Staten Island. You can follow any responses to this entry through the RSS 2.0 feed. You can leave a response, or trackback from your own site. Sailors Snug Harbor still exists, to some extent, on Staten Island.